Indianapolis, Indiana – Judge Jane Magnus-Stinson dismissed a lawsuit by Indiana copyright attorney and professional photographer Richard Bell against Defendant Find Tickets, LLC of Alpharetta, Georgia for lack of personal jurisdiction. In June 2015, Bell sued Find Tickets in the Southern District of Indiana asserting copyright infringement. 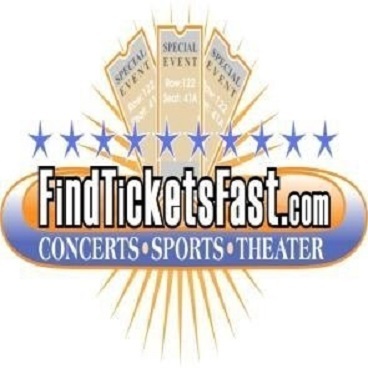 He stated that the Georgia-based company had published a copyrighted photo on its website, www.findticketsfast.com, without his permission. The photo in question was one that Bell had taken of the downtown Indianapolis skyline. It had been registered by the U.S. Copyright Office under Registration No. VA0001785115. On behalf of Find Tickets, a copyright lawyer asked the court to dismiss the complaint for lack of jurisdiction, averring that Find Tickets “does not maintain any offices in Indiana, has no employees in Indiana, holds no assets in Indiana, pays no taxes to the state of Indiana, and has no bank or other financial institution accounts in Indiana.” It was further stated that the business was owned by two Georgia residents, neither of whom had ever set foot in Indiana. Due process is satisfied so long as the defendant had “certain minimum contacts” with the forum state such that the “maintenance of the suit does not offend ‘traditional notions of fair play and substantial justice. '” The relevant contacts are those that center on the relations among the defendant, the forum, and the litigation. However, “[f]or a State to exercise jurisdiction consistent with due process, the defendant’s suit-related conduct must create a substantial connection with the forum State.” Thus, the relation between the defendant and the forum “must arise out of contacts that the ‘defendant himself‘ creates with the forum . . . .” Moreover, although no special test exists for internet-based cases, the Court focuses on whether the defendant has purposely exploited the Indiana market beyond the availability of the website in the forum state. (Citations omitted). The court similarly held that, as with Advanced Tactical, Defendant’s sales to residents of the forum state were insufficient to establish personal jurisdiction as it had not been demonstrated that such sales were related to the lawsuit. Finding no personal jurisdiction over Defendant, the court dismissed the lawsuit without prejudice. Practice Tip: Overhauser Law Offices, publisher of this blog, represented Defendants Real Action Paintball, Inc. and its president in the appeal to the Seventh Circuit. Hammond, Indiana – Trademark litigation commenced in the Western District of Michigan in 2013 was transferred to the Northern District of Indiana yesterday. This federal lawsuit, filed by trademark attorneys for Plaintiffs Texas Roadhouse, Inc. and Texas Roadhouse Delaware LLC, both of Louisville, Kentucky, alleges infringement of U.S. Service Mark Reg. No. 1,833,533, U.S. Service Mark Reg. No. 2,231,309, and U.S. Service Mark Reg. No. 2,250,966. These marks have been filed with the U.S. Patent and Trademark Office. The Defendants listed in the Michigan complaint were Texas Corral Restaurants, Inc.; Switzer Properties, LLC; Texcor, Inc.; Texas Corral Restaurant II, Inc.; T.C. of Michigan City, Inc.; T.C. of Kalamazoo, Inc.; Chicago Roadhouse Concepts, LLC; Paul Switzer; Victor Spina; and John Doe Corp. Defendants filed a motion to dismiss or, in the alternative, transfer venue, with the Michigan court, which was granted. The lawsuit will continue in the Northern District of Indiana. Texas Roadhouse seeks equitable relief; damages, including punitive damages; costs and attorney fees. Hammond, Indiana – Trademark and patent attorneys for Simpson Performance Products, Inc. of Mooresville, North Carolina (“Simpson”) and SFI Foundation, Inc. of Poway, California (“SFI”) commenced trademark litigation in the Western District of North Carolina alleging that Robert Wagoner of North Judson, Indiana and Derek Randall Cathcart of Valparaiso, Indiana infringed the SIMPSON® family of trademarks, some of which have been registered by the U.S. Trademark Office. The case was transferred to the Northern District of Indiana. Among the trademarks at issue are U.S. Trademark Registration Nos. 4,117,821; 1,243,427; 3,026,333; 3,026,334; and 3,050,920. Also at issue are U.S. Patent Nos. 6,931,669 and 8,272,074. Plaintiff Simpson is a manufacturer of automotive and motorsports specialty/performance products, including head and neck restraints for competitive racing. The Simpson brand of automotive and motorsports products has existed 1959. Plaintiff SFI was established to develop and administer minimum performance standards for the automotive aftermarket and motorsports industries, including standards for specialty/performance racing equipment. Simpson offers for sale the SIMPSON® Hybrid PRO Rage™ head and neck restraint. Simpson indicates that this product is one of the few such devices to be certified under a special classification, SFI SPEC 38.1, for use in NASCAR competitions. Defendants Wagoner and Carthcart have been accused of engaging in the business of providing specialty/performance racing equipment, including head and neck restraints that are counterfeit versions of Simpson products. Plaintiffs contend that Wagoner is offering counterfeit head and neck restraints through ebay.com. Plaintiffs allege that Cathcart offers counterfeit head and neck restraints via the website racingjunk.com. These restraints, Plaintiffs contend, bear trademarks owned by Simpson, including the SIMPSON® federally registered trademark as well as the HUTCHENS Hybrid PRO™ and Hybrid PRO™ common law trademarks. The accused products also allegedly bear a label that falsely states, “This product designed & manufactured by Safety Solutions, Inc. PATENT NO. : 6931669; other patents pending.” According to Plaintiffs, the alleged counterfeiting activities of Defendants also constitute patent infringement. Plaintiffs ask for a finding in their favor on each of the counts alleged, including a finding that the conduct was knowing and willful, and entry against each Defendant jointly and severally. Plaintiffs seek costs, attorneys’ fees and damages, including enhanced damages, as well as injunctive relief. This federal trademark complaint was initially filed in the Western District of North Carolina in February 2015. In May 2015, District Judge Richard Voorhees ordered it to be transferred to the Northern District of Indiana, finding that the North Carolina court lacked personal jurisdiction over Defendants. A computer programmer for the Mega copyright piracy conspiracy, Andrus Nomm, 36, of Estonia, pleaded guilty recently in connection with his involvement with Megaupload.com and associated piracy websites. He was sentenced to a year and a day in federal prison for conspiring to commit felony copyright infringement. 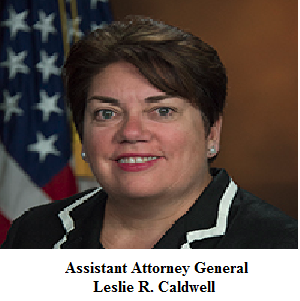 Assistant Attorney General Leslie R. Caldwell of the Justice Department’s Criminal Division, U.S. Attorney Dana J. Boente of the Eastern District of Virginia and Assistant Director in Charge Andrew G. McCabe of the FBI’s Washington Field Office made the announcement. U.S. District Judge Liam O’Grady of the Eastern District of Virginia accepted the guilty plea and imposed the sentence. Indianapolis, Indiana – In the matter of American Petroleum Institute v. Bullseye Automotive Products, et al., Indiana trademark litigators Paul B. Overhauser and John M. Bradshaw of Overhauser Law Offices, attorneys for Carlos Silva, petitioned the court to dismiss Silva for lack of personal jurisdiction. District Judge Tanya Walton Pratt granted the motion to dismiss. In July 2013, Indiana trademark attorneys for American Petroleum Institute (“API”) of Washington, D.C. sued in the Southern District of Indiana alleging that Bullseye Automotive Products Inc. and Bullseye Lubricants Inc., both of Chicago, Illinois (collectively, “Bullseye”), and Carlos Silva of Chicago Ridge, Illinois infringed registered API “Starburst” and “Donut” trademarks, Registration Nos. 1864428, 1868779, and 1872999. The Bullseye entities are Illinois corporations that bottle and sell motor oil. Defendant Silva is the sole incorporator and shareholder of the Bullseye entities. Plaintiff API is a trade association for the petroleum and natural-gas industry. API brought various claims against Bullseye and Silva as an individual, including trademark infringement and trademark dilution. It claimed that Bullseye’s labeling infringed on its “Starburst” and “Donut” certification marks. While Bullseye did not contest jurisdiction in Indiana, trademark lawyers for Silva asked the court to dismiss the claims against him for lack of personal jurisdiction. API countered that the exercise of personal jurisdiction over Silva in Indiana was proper, contending that Silva personally directed the allegedly infringing activities, that he exercised complete control over Bullseye and that he and Bullseye were essentially the same entity for jurisdictional purposes. API made no argument that Silva personally had sufficient contacts with Indiana to permit an Indiana court to exercise personal jurisdiction. The court then analyzed whether it would be appropriate to exercise personal jurisdiction over Silva based on his personal contacts with the state of Indiana. It concluded that Silva as an individual had not purposefully availed himself of the privilege of conducting activities within Indiana such that he would reasonably anticipate being haled into an Indiana court. Finding that the minimum contacts necessary had not been established, the court held that exercising personal jurisdiction over Silva would offend due process and the “traditional notions of fair play and substantial justice” and dismissed Silva from the lawsuit. Practice Tip: Many of the arguments API made – for example, that Silva personally selected the text and design for Bullseye’s labels, that he personally negotiated with suppliers and that he oversaw production – do not support an “alter ego” theory. Activities such as these must necessarily be carried out by the sole shareholder of a small corporation. To find that a small corporation is the alter ego of a sole shareholder merely because that shareholder acts on behalf of the company would violate the basic principles of corporation law. Paul B. Overhauser, Managing Partner of Overhauser Law Offices, also recently prevailed on the issue of personal jurisdiction in the Seventh Circuit in another lawsuit alleging trademark infringement.